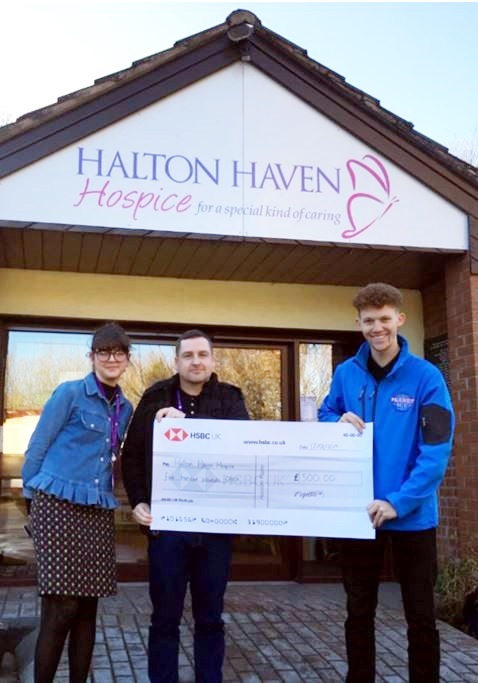 The Planet Ice rink at Widnes presented a cheque for £500 to Runcorn-based Halton Haven Hospice following a special fundraising initiative over Christmas. The Hospice is the chosen charity for the Widnes Wild ice hockey team and the Planet Ice rink this season and players, supporters and staff have been taking part in numerous events – including a Firewalk and seasonal Santa Dash – to help raise money for this very worthy cause. “On Christmas Day, Planet Ice took a staggering amount of £500.00 in just two hours on the door and we have donated all of this money to Halton Haven”. 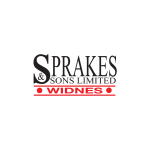 The Planet Ice rink and Widnes Wild team are highly committed to supporting local charities and community projects and are always happy to hear from local groups and organisations. Mike Gilbert is also the Head Coach of the Widnes Wild Academy who offer ice hockey training for juniors of all ages and abilities – boys and girls – and who have entered teams in the league this season for the first time at Under 9, Under 13 and Under 15 level. For more information, contact Community Development Officer Mike Gilbert at Planet Ice Widnes on 0151 420 7930.